Similar to other revolutions, the craft beer movement has espoused creative change, but has limited inclusion. Leaving aside the overwhelming Caucasian nature of the industry, gender-wise, at least, things may be changing. Slowly, yet gaining momentum. At his Beer Examiner blog, homebrew guru Charlie Papazian has given a shout out to The Pink Boots Society. It’s a dynamic organization that was “Formed to inspire, encourage and empower women to become professionals in the Beer Industry.” Based out of Portland, Oregon the organization will be over 200 members and celebrating their first anniversary this April. Inspired by brewer Teri Fahrendorf's 2007 cross-country trip of thanks and discovery, the Pink Boots Society is open to all women connected to the craft, art, and business of good beer. Not only brewers. WHO IS THE PINK BOOTS SOCIETY? We are the female movers and shakers in the beer industry. We get the beer brewed and fermented with the highest possible quality. We also own breweries, package the beer, design beers, serve beers, write about beer, and cover just about any aspect of beer, and we are all women. 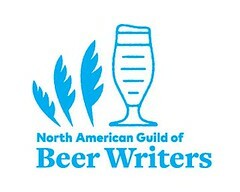 The Society will be meeting at the Craft Brewers Conference in Boston in April. In addition, several members will be delivering presentations to the conference. 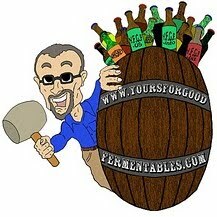 Jamie Martin - "Things Every Brewer or Future Brewery Owner Should Know But Doesn't." Ginger Johnson - "Where's the Other 50%? : Developing and Serving the Female Craft Beer Enthusiast Market." Julia Herz - "What's Up in the Craft Beer Segment." In a manner, the efforts of The Pink Boots Society could be considered a return to the way things were in the past. ... And then men went and industrialized beer! Go here for more details on The Pink Boots Society. Taking the beard out of beer: A Girl's Guide to Beer. My look at Beer Appreciation by Women.